having a Give Away as are my 8 fellow designers - How exciting !! 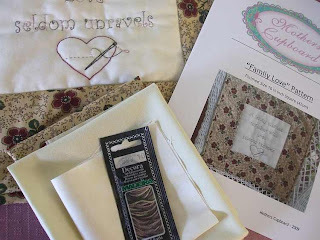 I am giving away a complete kit to make my "Family Love" wall quilt. The kit includes :- stitchery fabric, border and binding fabric, backing fabric plus easy to follow instructions and a pack of Madeira Variegated Rayon Thread. Become a follower of the Among The Gum Trees Blog and upload the Among The Gum Trees Logo to your blog and leave me a comment here to let me know that you have done it and then you go into the draw. It's that easy. That will give you 2 entries. For a bonus entry become a follower of my blog. Entries Close 10am - 30th September AEST. Winner Announced on the 1st October. Hi Fiona, awwww...I'm first....don't know if that's good luck or not! Anyway, congrats on the new blog....it looks wonderful, can't wait for all the things you girls are designing....it's very exciting! I'm off to do the button thingy and continue checking out the blogs! I have become a follower and have put the logo on my blog. So Please count me in the Pot. Thanks a lot again for your generosity to share your designs with us. That's me entered then ;o), thanks Fiona I'll be keeping my fingers crossed. Well I have already been a follower, but I do not have a blog, so I hope being a follower is enough to to be entered in the draw. Hi Fiona, thanks for generous! Am a follower and have your button on my sidebar! Well done for being one of the gum-nutters. Okay Fiona, I have signed up as a follower and put the button on my blog :-) What a fun giveaway! Thanks. I have the button on my blog and I am a follower...of the new site and every one of you lovely designers! I posted the button for Among the Gum Tree blog and also became a follower. Great giveaway, good luck to everyone. Always been a follower and I have the button on my blog too. What a gret giveaway luck to all but I'm sort of hoping to be lucky one I am a follower and have posted the button on my blog. Hi Fiona, I'm so glad to be able to get to know you! I'm following all the blogs and I've added the button to my sidebar, and blogged about it! Fiona I would love to win one of your kits. I have done all the stpes you asked. Please count me in as well, I am already a follower and have the link/button on my blog.. I have commented everywhere that i could..such fun. I've become a follower. I don't have a blog, so I can't upload the logo. Thanks so much for the opportunity to win great prizes! Hi, Fiona! I'm following the Gum Trees blog, and I put the logo on my side bar. Thanks for the giveaway! I've become a follower of the Gum Trees and yours as well :)And I have the logo up and linked. I have the logo on my blog, and I'm a follower of the Gum Trees! Very pretty and generous giveaway! Aweseome....would love to win these Fiona...I have done all three requests...thanks so much. THE button should be there and am a follower NEED to WIN! 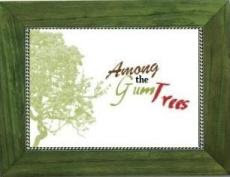 I am a follower of Among the Gum Trees blog and I uploaded the logo to my blog. I am also a follower of your blog. 1. I have posted the "Among The Gum Trees" button on my blog sidebar. 2. I've become a follower of "Among The Gum Treese"
Button done, follower of the blogs and now leaving a comment...what a lovely site and giveaway you have arranged! 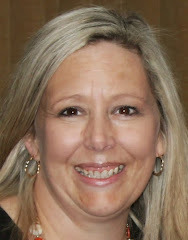 Me again :) Have put the among the gum tree button on my blog sidebar and that gives an extra entry. So fun with a give-away. I´m a follower and exited to see what happens at you and your freinds blog. I now follow your blog. I have put the button on my blog. I was a follower of the Gum Tree blog as of yesterday. Gracias Fiona por la posibilidad de sus regalos. Tambien por las 3 entradas. He puesto el boton del blog entre los arboles de goma,soy seguidora del mismo, y tambien su discipula, en mi lista de blogs de patchwork la tengo para visitarla diariamente. I now follow your blog. I have put the button on my sidebar. I was a follower of the Gum Tree blog as of yesterday. Hello Fiona, I have just joined you as a follower! I'm now a follower of both blogs. Thank you. I love your fantastic Giveaway!!! I have the Gum Tree Designs button on my bolg. I became a follower of your blog and the gum tree blog. Hi, please include me, I have followed all the instructions! I have posted your button on my blog & also became a follower of Among the Gum Trees! Of course, I was a follower of your blog already!Thanks! Hi I have added your blog to my blogline list. A giveaway winning is allways welcome in my house. I have done all 3, and I hope that would qualify my for 3 entries in the draw. Good luck to your new happening in life!!! Already have the Gum Tree logo on my blog.. and am a follower to your and to Gum Trees blog... and I made a comment.. :o)) Hugs!! I've done all three things required to get three entries in this great giveaway.Thanks for the chance to win such lovey items :) Barb. I was your follower already, that is how I found out about this new blog! I did become a follower over there too and did post your logo on my blog. So I guess that counts for three? This so so exciting. I am following all the blogs and the Gum Tree blog and added the Gum Tree link to my blog yesterday. - three entries? ooooo, how lovely....I've admired this quilt since you started showing us!!! I am a follower of your blog (and the Among the Gum Trees one too). I am blogless, so can't claim the button entry but.....finger's crossed!! I became a follower via rss feeds to you and Among The Gum Trees. I am no blog. Thanks for the chance to win your great prizes. I posted the button on my side bar and became a follower of both the Gum Tree blog and yours. I sure hope I win. I can not wait to get the designs from you all. I've completed all three steps to be entered. Great giveaway! I have done all the steps you asked. Congratulations to your blog, plus the generous giveaway you offer, and first of all to your sweet granddaughter! I'm just became a follower on The Among the gum trees blog and also a follower of your blog. I've put the button on my blog and I'm a follower of your blog and of The Among The Gum Trees blog. I am a follower now. Thanks for this great give away. All three completed. Your talent is awesome. I am a follower of Among the Gum Trees Blog and Your Blog. Hi, I'm following the Among the Gum Trees and have the logo in my blog,also new I'm following of this blog. I love the patchwork and work with needle. would be wonderful to participate in your contest. This Christmas would be fun to give to my family, my work done with my hands with love. Sorry for my mistakes, I'm from Spain and my english isn't very good. What a wonderful gift for some lucky lady. I've set up the button and am following both blogs. Please count me in. I'm a new follower of Mothers Cupboard! Thank you for the new blog, it's fantastic. I have become a follower of your and Gum Tress blog. I have put the button on my blog and I am leaving a commet to you and i wish you Goog Luck ,with the new design blog. I have become a follower of your and among the Gum trees. The button is on my sidebar. Beautiful prize for the giveaway. I have signed up to be a follower of the Gum Nut Designers and your personal blog and have posted a button on my blog sidebar. 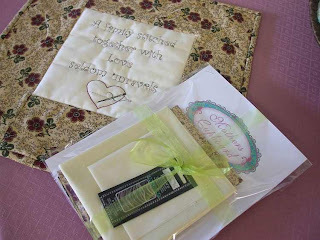 The "Family Love" wall hanging kit is wonderful - so thoughtful/generous of you! Thanks for the opportunity in your drawing. What fun blogs and a great idea! Congratulations with your new blog. I have added it to my sidebar. I am also a follower on your blog and follower on the Among the gum trees blogg. I have also blogged about it. Congratulations on this new venture. What a great group of ladies. Thanks for including me in your giveaway. All three steps are done, please enter my name in the lovely drawing! I've already done all those required steps. I will have such a pleasant blogs-readings this afternoon, you are great ! Well there are so many ahead of me, but who knows, I may have a chance. Congrats on this venture. I have joined as a follower, and look forward to visiting regularly. I have signed up to be a follower of the Among the Gum trees blog and your personal blog and have posted the button on my blog sidebar. I would be very happy to win your lovely gift. Great give away. I wrote about Gum Tree yesterday, posted your button and became a follower! Love it! I'm a follower of your blog. Now that I think I've figured out how to do that, I'll try to follow the Gun Tree blog, too! Thanks for doing this. I have put the logo and the link on my sidebar and I am also a follower on the Gum Tree blog. And I just became a follower of you. This is going to be so much fun. I can't wait to see what everyone comes up with. Thanks so much for being a part of this. Such a great treat to have all of you working on a blog together. I can't wait to see all the new free patterns. Yeah for us!!! I've become a follower of the Gum tree blog and have put the button on my sidebar. I've become one of your followers. So exciting. Thanks for sharing. Thank you for letting me enter the great giveaway! Thanks for the fun giveaway! I am a follower of Gum Trees, I follow you and I've added the Gum Tree button to my blog. Thank you Fiona I done everything you requested What generosity its going to be a great giveaway . What a wonderful giveaway you have!!! I've done that was requested for 3 entries! I'm a follower plus added all Trees to my favorites for easy access. Hi. I have done all 3 steps.. It is so great of you all to do all this. I am a follower of Among The Gum Trees and also a follower of your blog. Please enter me in the giveaway for your great prizes. Hi! I've put the Gum Tree button and a link in my sidebar, and I am now a follower to your blog and to Among the Gum Tree-blog. I did all things you sad. Please give me the 3 entries. I have the button on my sidebar and I am a follower. Isn't grandbaby sitting great! She looks like an angel. Conrats on your collaboration because silly me didn't know half of you before this. Thank you-its nice to purchase things in our time-zone. And I am also a follower of the Among the Gum Tree blog! Will be checking your website out a lot closer soon, but wanted to get all signed up first. What a fun idea. And a beautiful little granddaughter too! I have the Gum Tree link &logo on my Blog I am also a follower of Gum Tree designs & a follower of your blog..... Congrats on a great launch!!! I think I followed your instructions for the give-aways correctly. Just want to Thank You for this and to let you know that the Button is on my blog and also a follower of that blog. And now to let you know that I am now a follower on your blog. Thanks Again!! I became a follower yesterday of the Gum blog and posted the button on my blog. I just became a follower of your blog. Thanks for the chance to win your great give-away. I became a follower of both sites and put the logo on my blog. What a gorgeous giveaway!! Thank you for being a part of the giveaway. What a wonderful chance! 1. I am a follower of Among the Gum Trees. 2. The logo is on my sidebar. 3. I am also a follower of your blog. 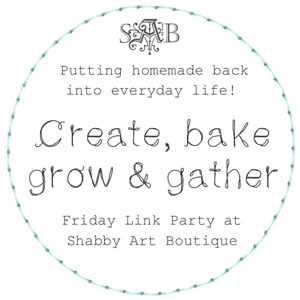 What a wonderful group of ladies you are to provide us all with so much crafting fun, and beautiful giveaways to boot! Thank you. Hi Fiona, thanks for this wonderful giveaway! I added the button in my sidebar and follow both (all :) blogs and now I hope to win. I am follower of Among The Gum Trees. I've added the Gum Tree Designers button to my blogs sidebar. Please include me in your giveaway. I have become a follower of both Among the Gum Trees and you blog but can't put the button on my blog as I don't have one. I have done all 3. Thanks for the chance to enter the giveaway. I am a follower of your blog, and a follower of Among the gum trees. And I have the button on my side bar! Keeping my fingers crossed for this fab giveaway! Congratulations on being one of the 9 gum-nutters and I can't wait to see the freebies when they are released in October! I am a follower of the Under the gutree and on your blog and put the button on my sidebar. Hello there Fiona, I became a follower of the Among the Gum Trees Blog and have uploaded the logo. I have also become a follower of your blog! Thanks so much for your generosity and I am eager to see what you have designed for Christmas! Hi, please enter me in the give away - I am a follower . . . This is so exciting, what a great idea. I have put the button up and linked it back to Among the Gum Trees as well as become a follower. Such a wonderfully talented group of ladies. Done all three....thanks for the giveaway. I have uploaded and linked the Among the Gum Trees logo to my blog. I have also become a follower of your blog! Please enter me for your giveaway! Thank you! Assignments complete!!! Do I get an A??? You girls are "sew" much fun! HI Fiona, I have added a link on my side bar, become a follower and left a comment on the gum nut blog and let followers know about this wonderfully egg-citing new adventure. Hi Fiona, I'm already your follower and I did the other things so I want to try my luck here too! Thanks for the opportunity, and good luck in your fantastic new adventure! Hugs, Renata. Am a follower of your blog plus Gumtrees one. Have added the button to my blog and posted about it. Am slowly working my way through the nine designers most of who I regularly follow. Thanks for the chance to win your great prize. Hi Fiona have done all three things needed for three entries. Will need to spend some time tonight updating my bligs I follow list! I have added the Gum Tree button in the sidebar of my (Dutch) blog! I am a follower of the Gum Tree blog too! Well, I have been a follower of yours for a long time. I joined the Gum Tree blogs, put the logo on and posted about it. I am thrilled and so happy for you that you are a part of this new venture. Good luck with it! I love your work. I became a follower of Gumtrees - but no blog. Looking forward to your inspiration. Hi Fiona! I am so excited to sign up for your giveaway! Shhh..don't tell the others, but you are my favorite stitcher! lol I'm so glad you were my secret angel stitcher a while back. Now I'm a follower of the Gum Tree blog, have posted the logo on my blog and have followed your blog for several months now. Good job! Another great giveaway. I am trying to visit all the designers this morning. I have put the button on my sidebar and have become a follower of the Gum Tree blog. Count me in for all three! Cheers Fiona! I've become a follower on your blog and on Among the Gum Trees. Bless all of you for all the fun. Love this idea of you all being together, should be a lot of fun. Have already started spreading the word, looking forward to seeing what you get up to. wow, fiona, you gals are having some great giveaways!!! i am following the gum trees blog and have it on my sidebar! Hi Fiona. I am following you, Gum Trees and also have my button on my blog. Loving all the fun and thank you for being a part of this. BTW, Maddie looks wonderful, of course. Congratulations on the new blog -- I am a follower of Among the Gum Trees, and now I am a follower of Mum's Cupboard -- exciting! Thank you to all the designer from Among the Gum Trees. Fantastic designs and give a ways, too. I am an ATGT follower and have the button on my blog. Please enter me in your give a way. I have become a follower of both blogs (am working my way through all 9 of you) and have the button on my blog. This is a really exciting adventure. Hi Fiona, I am a follower and have the a link to the Among the Gum Trees! on my side bar. Awesome giveaway. 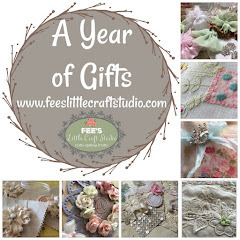 I'm following the Gum Tree Design Crew all over the place....here on your blog...on everyone's blogs and I have the link and pix on my blog too. Add my name into the drawing please. This is a fantastic opportunity from 9 wonderful ladies. I have added the Among the Gumtrees button, linked and followed. I am also a follower of yours so may I please have 3 entries. Thank you for the great giveaway. You ladies are wonderful for sharing your talents. I have the button on my blog, and I am a follower. What a fab giveaway!!! I have the Gum Tree Designs button on my blog and I have becaome a follower of Gum Tree Design and of you too! Yes, yes, I will be a follower and I really like the Gum Tree disign..What a concept. I love your work and really all of the Gummers..I would like to win but live in the states..
What a great giveaway. I've become a follower of both your and Among the Gum Trees blogs. I don't have a blog myself so I am a private follower. Congratulations on the new blog. I look forward to reading it regularly.